The Fanconi anemia Research Fund won $50K! I am really proud of the families. They banded together and got it done. I love the progression of posts to the discussion group. Last night on my way home from work I was thinking about the whole winning the lottery thing. I remembered something that I have wanted to do since you died. I want to put your name everywhere. Big places and small. Places where you used to go. The Henry Strongin Goldberg family break room at Georgetown Hospital, the Henry Strongin Goldberg Jewish Primary Day School Athletic Center, the Henry Strongin Goldberg Recreation Center at Stoddert Elementary (they're building a whole new big rec center at Stoddert) - that sort of thing. I'd buy a bench at Guy Mason and put your name on plaques and bricks. I just want people to forever say, "Who is that Henry Strongin Goldberg," and learn more about you. That is why I am excited for Henry's Garden at JPDS. They are having the first-ever student dance and they'll raise money there for the garden. Check this out. Not sure what happens with this. We actually trademarked the name. Couldn't it have been Hope for Harold, Hope for Howard, Hope for Hank. Joe is in love. With a girl. To give you a sense of how crazy this is, he may like her even more than he likes baseball. Mom is totally excited and enthusiast. I am totally cautious. We just aren't used to this. You, of course, declared your love for Bella early and were unwavering. You loved her and told her and told us and that was it. You were a romantic and very open about your feelings. And then you died and we got used to Jack who is so private that we'll probably learn about his getting married years after the fact. He does share some stuff with Mom, but never anything about liking anyone. Like Jack, Joe has never said anything about liking girls. Now, all-of-a-sudden it seems, he is all about this girl - this girl at school named Allison. He even called her on the phone! Can you believe it. And she likes him back the same way -- probably the toughest thing in life ever to get right. This is serious. Mom has been bumped from atop the list of who Joe plans to marry. We are going over to Allison's house for Shabbat dinner. I will report back. Parade Magazine, which we were in one time and which you get in the Sunday newspaper, is having a contest. They are giving away $50,000 to 8 different charities. The winners will be the charities who get the most people to donate money to them. The Fanconi families are doing a great job getting all of their friends to donate. More than 1,400 people have done it so far. I sent out an email to everyone I know asking them to give to FA research. I think we're in second place right now, so hopefully we'll win. 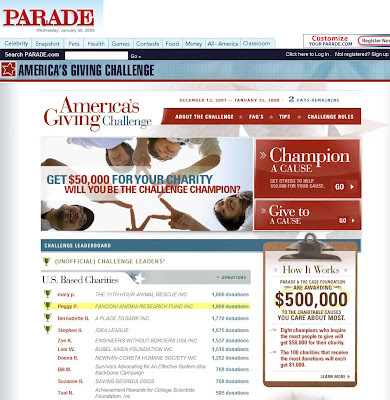 It is a pretty smart contest because the charities will end up not just winning much-needed money, but they will also get a lot more people to know about them. I am proud of the FA families for working so hard for this. I wish I had done it for Hope for Henry, but I wouldn't feel comfortable competing with the Fanconi anemia Research Fund for money. FA research is so important. I was looking today at the website of a young guy, Justin, who is 22 years old and has FA. 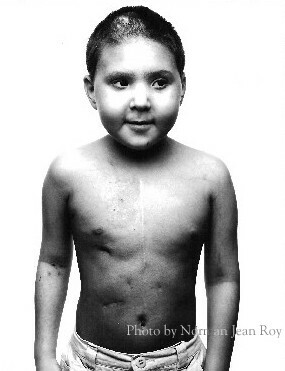 He was transplanted by Dr. Wagner and is fighting for his life right now. Here is what was on his website from today. I think it is his mom who is writing. Transferred from BMT to PICU yesterday about 6:00pm. The dialysis machine we needed to use in his room was a no go as 2 renal nurses called in sick leaving them short staffed. We had to move him. He is on the gentler 24 hour dialysis here in the PICU. Only the PICU nurses know how to use this Prisma machine so move we must. As with everything, things moved slow. He didn't receive his central line til 9:00 ish and they couldn't place his art line in his right wrist at all. Finally gave up and said they would place it in an artery in his groin to monitor stats if necessary during the procedure. We started dialysis at 10:40 and moved slowly for the first hour. He tolerated that well. At midnight, we were able to boost it to remove a little more fluid including that which he had going into his body from the iV pole, trying to move him ahead. Yesterday he did pee off everything that was put in that day, but we were still 3 days behind. We need to pull off roughly 4 liters of fluid. Things went smoothly and i guess I laid down between 1 and 2am. His heart rate alarm started, his rate dropped and soon after, Dr. Nelson came in and the arterial line needed to be placed. Sleep came for me between 2 and 3am. Last amount I heard early this morning was that 1 liter had been pulled off. He's down to 60% oxygen, 22 breathes per min, peep of 12. So a ways to go. Heart rate in the 90's, blood pressure reared its' ugly head earlier, med given and it fell nicely. As the renal and ICU docs left last night they felt he was tolerating everything well. Have seen no "teams" yet. Prayers that they feel we are heading in the right direction. It is bitterly cold here. This room has a wonderful view of the Mississippi River...which is iCY. So Prayers for Restoration and healing in Jesus' Name. It seems that praying for pee is pretty common. That's all I wanted you to do and it just didn't happen. Justin seems to be working hard to get the job done. Lately, I have been buying a Powerball lottery ticket each week. You might think I won the lottery once already with you. There was less than a 1-in-a-million chance that you'd be born with Fanconi anemia. Last week I changed strategy and instead of letting the machine pick the numbers, I marked my lottery ticket with a combination of numbers made up of the dates of your birthday, Jack's, Joe's and Mom's. Surprisingly, even with that iron-clad strategy for success, we didn't win. There is always next week as they always say. I will let you know when we win. I haven't thought it through all the way, but this is what first comes to mind when I think of what we should do with our winnings. Put aside whatever is needed to send Jack to Harvard for college and wherever he may end up going to med school or law school or business school or marine biology school or archeology school or Age of Empires computer game playing school. And when he is ready, have money all set for Joe to go to University of Texas or University of Southern California. Those are the two schools that have sent the most players to the Major Leagues. The good thing is that because we live in Washington, DC, we get in-state tuition rates at those schools and any other state university in the United States. 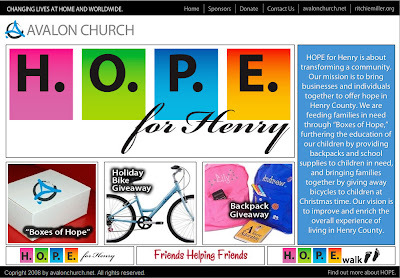 Fully fund the Hope for Henry Foundation for years and years to come. 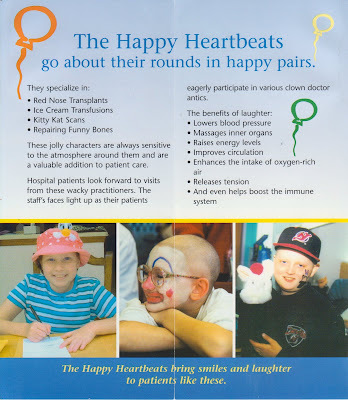 It would be great to make sure every kid getting a bone marrow transplant or who is hospitalized for a long time gets the latest video iPod, Superhero parties and maybe even a video hookup to his or her home and school. 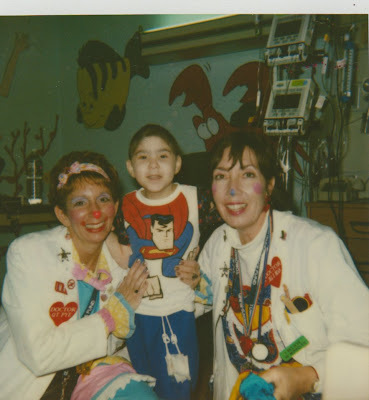 Give a huge chunk of money to the Fanconi Anemia Research Fund to improve BMT outcomes, find a cure for anyone who has it and stop babies being born with it through genetic screening for moms and dads. Buy Mom jewelry or whatever makes her happy, like shoes, and a massage every week. I am not a massage fan, but I know they make Mom feel good. For your brothers, I'd get another controller for Guitar Hero and put up a hitting cage in the backyard. Build an office on our house (haven't a clue where) and figure out how how to put a fireplace in somewhere. That would make our home complete. Fix-up the Defender so it is like new. Randy began his professional career after signing with the Boston Red Sox in June 2004 out of Tufts University. He was traded to the Cleveland Indians in July 2006. This trade was part of the deal that sent Coco Crisp (OF), Josh Bard (C) and David Riske (RHP) to the Bost Red Sox for Andy Marte (3B), Guillermo Mota (RHP) and Kelly Shoppach (C). Since being traded to Cleveland, Randy has quickly proven his worth as a professional baseball player. His first year with Cleveland, Randy was the MVP of the Carolina League Championships Series. In 2007, Randy had a dominating 1.50 ERA in Advanced A Kinston. He was quickly promoted to AA and was selected to the Eastern League All-Star Game in July. For the season Randy went 4-1 with 18 saves and an outstanding 3.12 ERA as a closer for the Southern Division Champion Akron Aeros. So Jack and Joe now own part of Randy's future earnings. Hopefully, he'll sign a A-Rod-sized contract one day. He is a submarine style pitcher, and I don't see him being a premier ace throwing that way. I think the real fun will be in following his career. But our lives have taught us that you never know, you just never know. Right? I had a dream last night where I hired a private investigator to find you. I didn't sleep long enough to hire the detective or find you. I woke up at 4 am and there was absolutely no way I was going to go back to sleep. Here is the skit that was performed at Nana's birthday. It might not make a lot of sense but it was really good and funny. You will note Mom who stars as Nana! Your brothers have walk-on parts too. 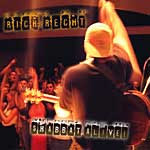 Friday night services at Hannah's synagogue featured Rick Recht. I was really excited and I know that Mom and Jack enjoyed the service. It would be great to have that kind of musical service every shabbat. Joe was a little shy but I think he had a great time because the music was terrific. I told you how he has a song in his heart and is always singing. This is one of the songs he likes to sing. Listening to Rick Recht's music always reminds me of when you and I were last in Minneapolis. We listened to his Shabbat Alive CD and to Joseph and the Amazing Technicolor Dreamcoat. It is hard to believe that was before iPods really had come on to the scene. Life is a lot easier these days. And for some reason, the movie The Dish always makes me think back to you. I don't know where we watched it - home, Hackensack or Minneapolis - but it was definitely something that we watched when you were sick. Maybe just Mom and I watched it. I don't know if you ever saw it because there are a couple of bad words. When we were in St. Louis, our friends the Medways were there. Mr. Medway worked at NASA and he always got me cool Apollo stuff, like pictures of the astronauts, when I was growing up. It was good to see them. Their son Richard works at Nintendo and has been incredibly helpful with Hope for Henry. We have a Nintendo game system called the Wii, which you would have really liked. I brought a special guest with us to Hannah's Bat Mitzvah. I have Cassie and some of your other stuffed animals packed away. Cassie, I am sure you'll agree, made a lot of sense to make this trip. Joe is now sleeping with Cassie, which is very nice. I haven't a clue where Cassie Jr. is these days. Hopefully with you. Mom unearthed a bunch of pictures of you that I have never ever seen. Yeah! You have so many different looks - all from the drugs. There were some photos where you look ghostly. Your skin is grey and your cheeks are sucked in and hollow looking. Looking at those made me sad. I never seemed to see you other than just you. All of the swelling or sickly stuff didn't seem to register. I can see it now, though. Kellee sent a disk with some more of the photos she took of us in New York. You know when I miss you - other than every day, 24 hours straight - is when me and the guys play football on weekend mornings at Stoddert. If you were here we could play 2 on 2. The way it is now, one person goes out and someone covers. That's it. No rush and no running plays. We need you! I had pulled out a few pictures that I thought might be good for Nana's movie, but Mom and Erica didn't use them. I want to make a photo book of pictures of you and Nana to give to Nana for her birthday. It will be a late present, but I think she'll be really psyched. Yismech, K'sarah, Rivkah, Rachel, v'Leah. May you be like Sarah, Rebecca, Rachel and Leah. This is the prayer that parent's say to their daughters on Friday nights. It reflects parents' hopes that their daughter will take on some of the attributes of the four matriarchs, such as courage, wisdom, and loyalty. We also want these for you, and you have your own matriarchs as examples. Grandma Phyllis, mom's mother, of blessed memory, was strong, intelligent, and very creative. 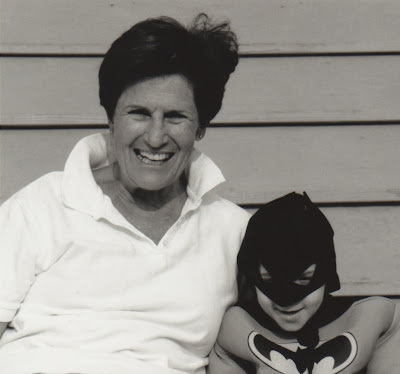 She had a never ending desire to understand her family tree, partly to expand it and reconnect with relatives, and also to track the source of Fanconi Anemia in the family. 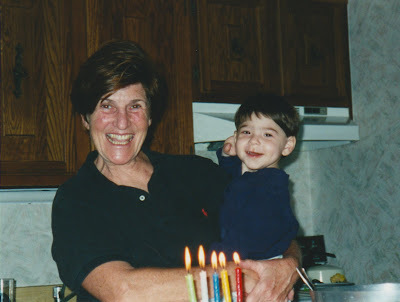 Safta Idell, my mother, also strong and brave, raising three children as a violin teacher and to this day, still teaching 5 days a week, and showing her commitment to music and education by generously providing her time to those who cannot afford it. My sister Dafna, who has unerring strength of character and commitment, and my sister-in-law Laurie, who has triumphed through adversity, has been able to maintain a light heart, and helps other families that are facing similar crises. Each of these women exemplifies qualities we want for you. They have, in their own way, provided guidance for you as you move from childhood to adulthood. While every parent wants their son or daughter always to be safe and warm, we know that you will face challenges, and we want you to be prepared for them. So for you, Hannah, may you be like Phyllis, Idell, Dafna, and Laurie. While the prayer wishing you to be like the matriarchs is spoken to daughters, we feel that the prayer for boys; may you be like Ephraim and Menashe, also has important messages for you. Like Ephraim and Menashe, you have two paternal models that can provide you with guidance. Saba Yehuda has a deep and lifelong love for Israel and the Jewish people, first smuggling Jews out of Europe to take the boats to Palestine and later fighting with the Palmach in Israel's war of independence. Pop-Pop Teddy, took care of Grandma Phyllis during her long illness and he now volunteers his time at Suburban hospital and visits hospice patients. So, Hannah, may you also be like Saba Yehuda and Pop-Pop Teddy. Each of these relatives is deeply committed to Judaism, Jewish values, and the Jewish People. You are an inheritor of these values and it is our hope and expectation that you will care for others like Teddy, love Israel and the Jewish people like Yehuda, be as strong as Dafna and Laurie, love music like Idell, and knit like Phyllis. Here is the video that Mom and Erica put together for Nana's party last weekend. She has had a pretty remarkable life so far. And you made it even more so. I especially like the video of her winning the Silver Skates at Madison Square Garden. This is the kind of video I want to make about you. 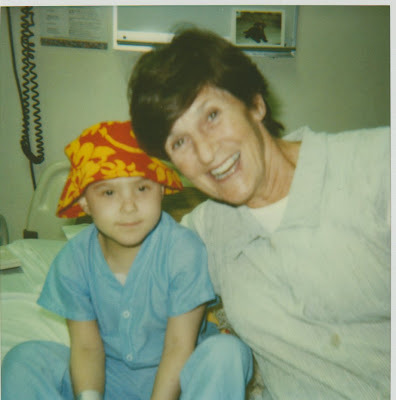 Like Hannah and Nana, you lived a pretty incredible life. Here are a couple of pictures from the party. I am surprised I didn't take too many photos. Sometimes I think I just hide behind the camera so I don't have to talk to anyone. It is hard for me to socialize too much when I am sad and thinking about you. I used to be able to just "hide" by taking care of Joe but he is all grown up now. I think you can see that the party was pretty fun. Can you believe how grown up your Cousin Noah is? Lot's going on. Lot's to tell you. Here is the video from Hannah's Bat Mitzvah party. Uncle Dan made it. There are great shots of you. And great shots of Grandma. We got back last night from St. Louis. It was a truly wonderful weekend. Your cousin Hannah lead services, read Torah and Haftorah, gave a D'var Torah and was just amazing. I know that Aunt Jen and Uncle Dan were "kvelling" cause everyone else was. We really like Dan's family. We spent a lot of time with his brother and sisters. I told you that I was reading Torah at the Bat Mitzvah. It was nice company. Aunt Jen read, as did Rabbi Cahan and of course Hannah Banana. I felt honored. Hannah read a few portions and is definitely ready to follow in Aunt Jen's footsteps. I think there were 4 or 5 rabbis there, which means something. I don't know what exactly, but I am sure Hannah is destined for great things. There was a poster of pictures of the two of you set up just below the bimah and in front of where Mom, Jack, Joe and I were sitting. Our whole family went up for an aliyah and Hannah read the portion. It was supposed to be your turn to read the Torah. Your Bar Mitzvah. Hannah stood in for you and did beautifully. After she was done, Rabbi Rose - who is the Rabbi of their synagogue and a really dynamic man - stopped everything and talked about you and how we were honoring you because you couldn't have your own Bar Mitzvah. He then asked us to think about you quietly for a moment. I, of course, couldn't help but weep about you quietly for a moment. Then when it came to finishing the blessing, I had trouble getting anything other than tears to come out. Mom raised her voice and carried all of us. Thank god for Mom. But she had her moment later. She cried herself to sleep that night. You were thought about and remembered. Uncle Dan's sister Daphne or sister-in-law Ianthe (I forgot who said it) told Mom that she could see and feel you up on the bima with Hannah... you standing at one podium as she stood at the other. On Sunday we went over to Aunt Jen's and Uncle Dan's to hang out, play games and stuff our faces. Jack slept over that night with Hannah - they have a very special bond - and we picked him up yesterday and flew home. I overheard someone during the weekend say they have 45 first cousins. Can you imagine going to all those Bar and Bat Mitzvahs? Crazy. Cousin Rachel and Michael are on deck. I get especially sad or something when I see a little kid with a parent walking in downtown where I work. I don't have the same sensation at a mall or playground or anything. I think it is seeing a kid in a place where it is normally just adults. Same thing on the bus. It tugs at me. Wonder what that's all about. I was thinking about this yesterday when I was walking near K Street. I now realize as I write this that I was near where you were born - George Washington University Hospital - and where you and Jack used to come and visit me when I worked at VarsityBooks. It was a big office and you guys loved running around. I loved showing you off. Most of the people who worked there weren't even married yet, so you guys were quite exotic. I was reading the review of a movie called The Orphanage. There is a kid in it who disappears and the story is about his mom trying to find him. In real ife, the woman who plays the mom lost one of her kids to a heart problem. The review says that experience probably helped her be so good in the movie. LONDON (Reuters) - Bad news for Coco and Blinko -- children don't like clowns and even older kids are scared of them. The news that will no doubt have clowns shedding tears was revealed in a poll of youngsters by researchers from the University of Sheffield who were examining how to improve the decor of hospital children's wards. The study, reported in the Nursing Standard magazine, found all the 250 patients aged between four and 16 they quizzed disliked the use of clowns, with even the older ones finding them scary. 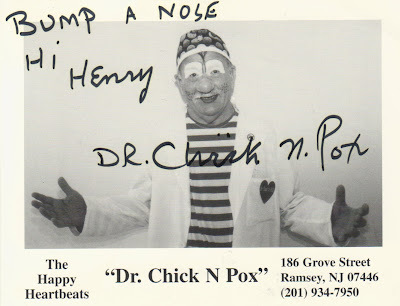 "We found that clowns are universally disliked by children. Some found them quite frightening and unknowable."